Patchy Work of Mini Grey: Blue and Green Shouldn't Be Seen? Really?? It's beautiful! I have to make a runner for my Mom's table and you have inspired me! Thanks! 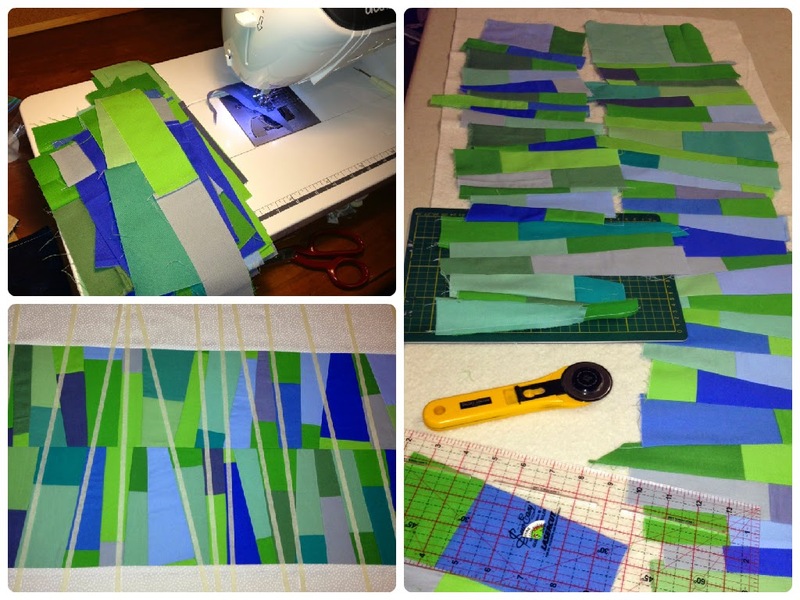 My Welsh co-worker was adamant that blue and green should not be seen (together) but she LOVED my quilts with the two colors mixed together. Like your runner, a lot! Wonderful finish. I've never agreed with the whole blue and green thing, just need to look outside to see that it's not true! 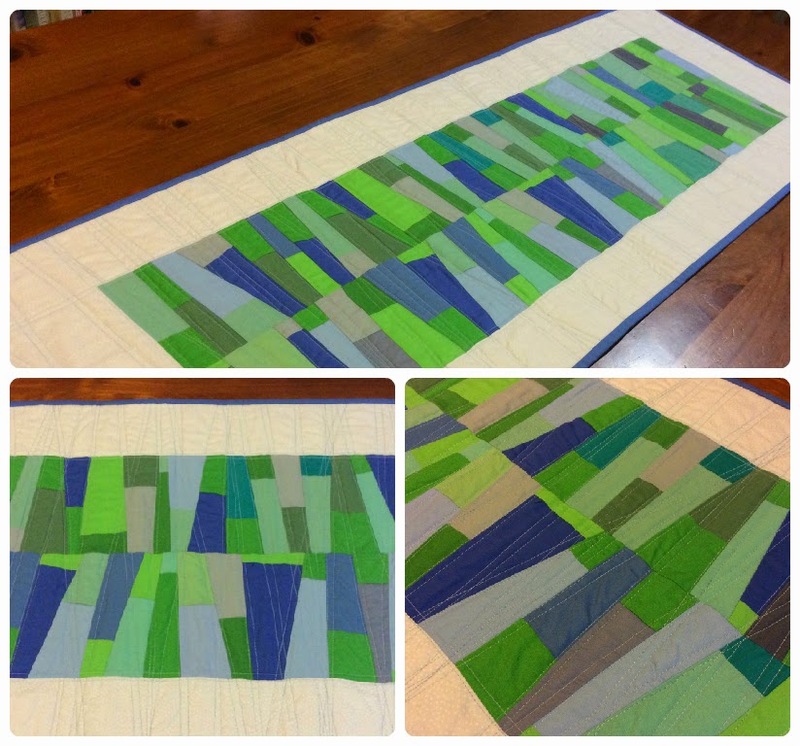 we love our blue and green quilt! This looks good too! I think it's awesome and RIGHT up my alley! You GO, girl! Not sure why you don't have 1,000 comments by now. This is simply stunning (as well as resourceful). I love it!